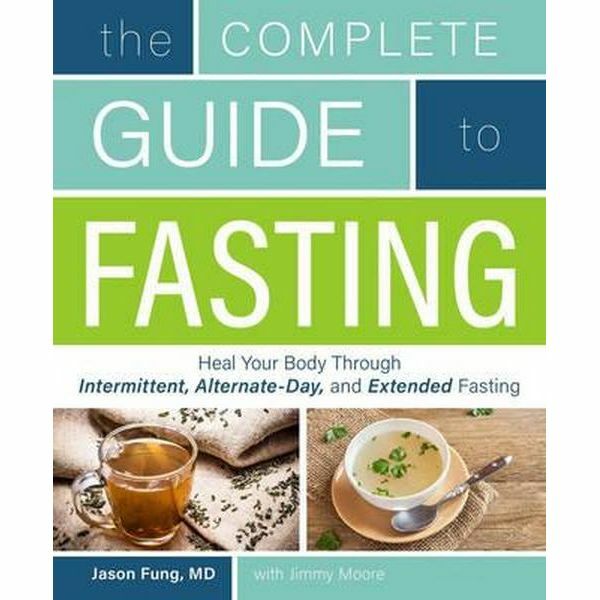 Last night I finally bought book The Complete Guide to Fasting by Dr. Jason Fung and Jimmy Moore. I’ve been listening to Jimmy Moore’s health podcasts for some time now and he has a new podcast about fasting with his co-author, Dr. Fung. What most people don’t know about fasting is that fasting isn’t some odd or scary thing. We do it every day when we stop eating in the evening, go to bed, and don’t eat again until morning. One form of fasting recommended in the book is the 16 hour fast, when you stop eating at dinner and don’t eat again until the next day at noon. Since human beings feel the least amount of hunger during the morning, the 16 hour fast is something many of us have done without knowing we are fasting! One thing that interests me about the book is that one author, Dr. Jason Fung, is a nephrologist (kidney doctor) who works with many diabetic patients. I have diabetes and kidney disease myself, and have endured a series of second-rate nephrologists who seem oriented to watching my kidneys deteriorate until I’m condemned to their dialysis clinic. Dr. Fung seems to be giving his patients hope that their diabetes and kidney disease will get better when they follow his treatment which includes ketogenic diet and fasting. One of my nephrologists, by contrast, told me kidney disease never improves (even though mine had) and is never affected by diet changes. Day two: eat nothing all day, water and plain coffee and tea are allowed. Day seven: Don’t eat until noon/lunch. You will notice that since day seven is followed by the next week’s day one, and so there are two eating days in a row. DISCLAIMER: Nothing in this blog is to be construed as medical advise, and you should READ THE BOOK and pay attention to its restrictions and advice— including the advice to NOT FAST if you have certain medical conditions and CONSULT YOUR DOCTOR about your fasting. I’m currently on Day Two of the plan about and have not eaten since 6 pm last night. It is currently nearly 1 pm and so I’ve gone 17 hours— which I’m fairly used to. Things will get tougher in a few hours, and so I have to keep drinking my water/tea regularly to prevent excessive hunger. My writing has been adversely affected by my health problems in part because I do keep going off my ketogenic diet, and find it hard to get back on because going OFF saps my energy. Fasting, like going keto, tends to increase your energy. I’m also hoping that the alternate-day fasting will give me extra time both for writing and for getting things done around the house, because I won’t have to be spending as much time cooking and washing dishes. I will post updates on this blog to let you know how it’s working out. In my vast and disorganized collection of science fiction & fantasy books, I have a lot of stuff from the ‘good old days’ when speculative fiction was exciting, including one volume of early Hugo award winners. Some of the more current SF & fantasy books just seem dull and predictable, and the politically correct propaganda it contains is so inferior to Nazi and Soviet propaganda that even it doesn’t arouse my interest. 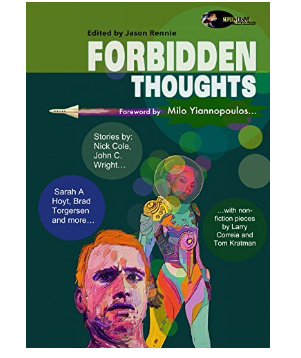 And then comes Forbidden Thoughts, edited by Jason Rennie and Ben Zwycky, forward by Milo Yiannopolos (flamboyantly Gay conservative activist— or maybe he’s more libertarian. But all the right (Left) people are rioting to keep him from speaking in public). On the back cover it says ‘You are not allowed to read this book. Don’t even think about reading this book. In fact, just forget about thinking all together.’ And it delivers on its promise to skew the Sacred Cows of our day in the many short stories, one poem, and a few non-fiction essays in the book. My favorite is the short story ‘World Ablaze’ by Jane Lebak, about a nun trying to live her vows in a world where that, and Christianity in general, seem to be illegal. Other stories come from Sarah A. Hoyt, L. Jagi Lamplighter, Vox Day, John C. Wright, Chrome Oxide, Brad R. Torgersen, and Nick Cole. The poem at the beginning is by Ben Zwycky— I have a book of his poetry and like it. Now, I found out about many of the authors in the book through a Facebook group, Conservative Libertarian Fiction Alliance. And since I myself am a conservative with libertarian tendencies, you might assume that all the ‘forbidden’ stories in the book line up with my own personal beliefs. But a wide variety of ‘forbidden thoughts’ are included in the book, some of which I strongly disagree with— though that seems to be the point. But I was able to enjoy the book as a whole since even the stories that bother me are daring and exciting, and make me wish I could write like these authors do. So this book is the main thing I am celebrating today— along with the idea that there is still room in SF and fantasy for exciting, idea-driving fiction. Now, I have been considering for some time writing a series of articles on this blog about aspects of worldbuilding, and this book inspired me to take the idea more seriously. 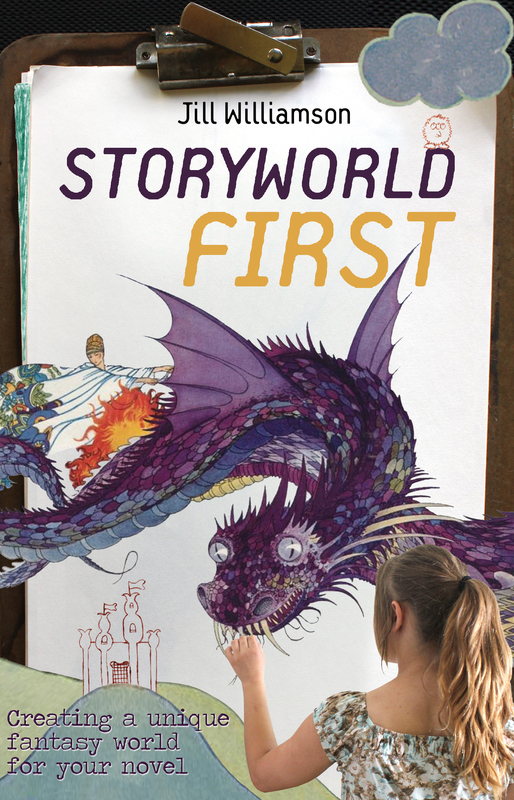 The first article I have in mind is about storybuilding as you go along, as happens in long-running open-ended series such as Darkover, Pern, Valdemar and others. Others will follow, especially if the series of article proves to be of interest to readers. My frostbitten-feet chicken #221 continues to survive, though he’s lost one foot to frostbite and the remaining foot looks dead and useless. 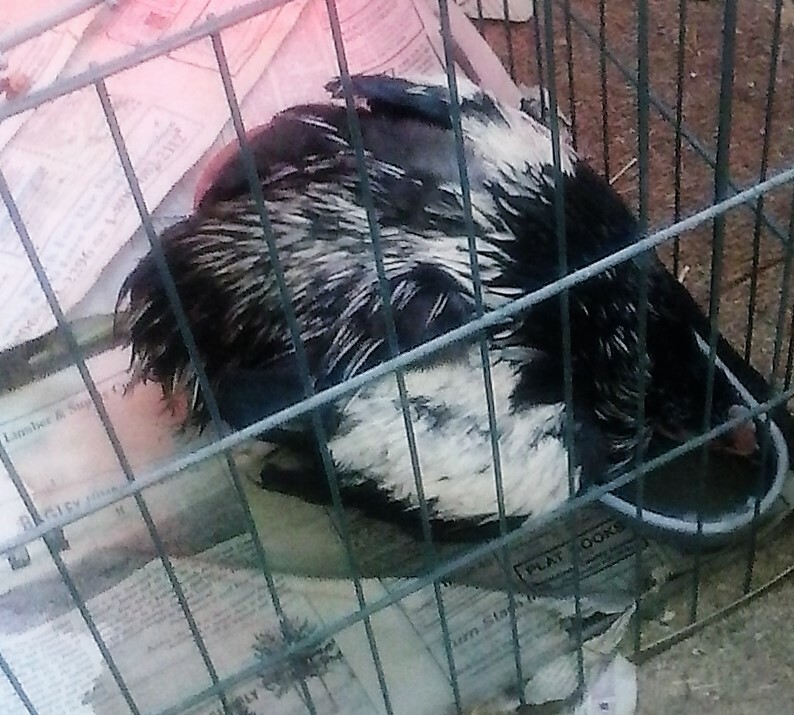 I’m not so sure why I’m so set on keeping him alive, since he’s an older male Araucana and my only other Araucana chicken is a hen just as old as he is, who isn’t a very good egg layer. Though she’s very good at escaping the pen she lives in. I rather doubt that #221 is going to be able to breed the hen in his condition, and I’m not so sure I want to keep on with the breed at this point. But as long as #221 seems happy enough, I suppose I will keep tending him. He really enjoys it when I put mealworms on top of the chicken food in his dish. And he gets around his little cage pretty well. I may even give him a name before long.